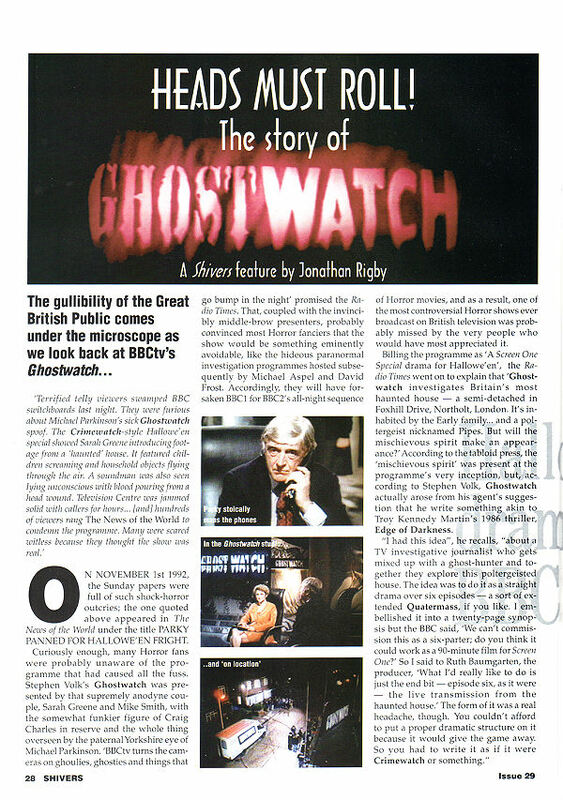 "The gullibility of the Great British Public comes under the microscope as we look back at BBCtv's Ghostwatch..."
Did you know the May 1996 edition of Shivers magazine featured a three-page article on Ghostwatch? Well, you do now! 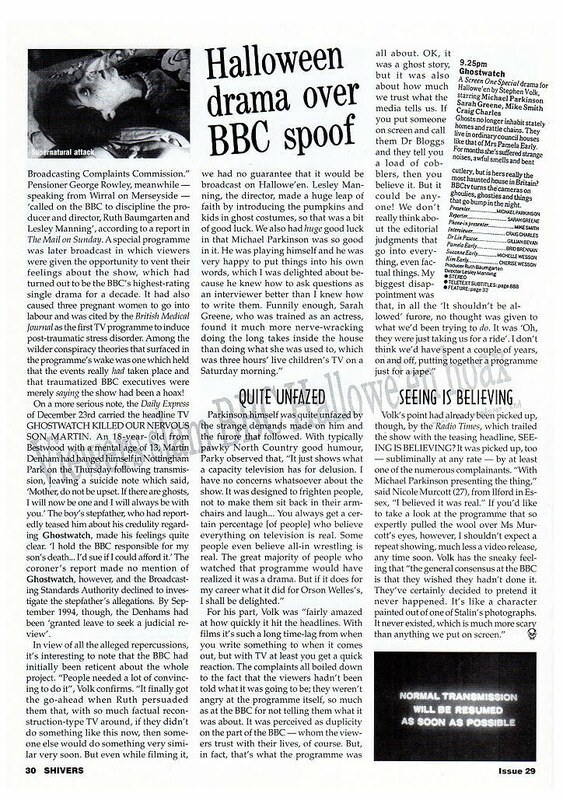 Written by Jonathan Rigby, the article explores the unique and unprecedented reaction from viewers who believed the show was happening for real, interspersed with thoughts from writer/co-creator, Stephen Volk, and other members of the cast and crew. If you can track down a copy, I highly recommend it. 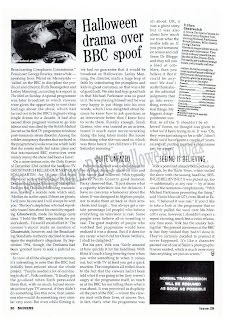 For all you Vans out there, there's also a further four-pages focusing on Stephen Volk's other work - notably Gothic, The Guardian and Ghosts - also made for BBC TV. To close, here's a classic quote from Sir Michael Parkinson where he discusses people's reactions to the 'live' drama's surprisingly realistic impact. Parkinson himself was quite unfazed by the strange demands made on him and the furore that followed. With typically pawky North Country good humour, Parky observed that, "It just shows what a capacity television has for delusion. I have no concerns whatsoever about the show. It was designed to frighten people, not to make them sit back in their armchairs and laugh... You always get a certain percentage [of people] who believe everything on television is real. Some people even believe all-in wrestling is real. The great majority of people who watched that programme would have realized it was a drama. But if it does for my career what it did for Orson Welles', I shall be delighted."